The Rolling Stones are an English rock band formed in London in 1962. The original line-up consisted of Brian Jones (rhythm guitar, harmonica), Mick Jagger (lead vocals), Keith Richards (lead guitar, backing vocals), Bill Wyman (bass), Charlie Watts (drums), and Ian Stewart (piano). Stewart was removed from the official line-up in 1963 but continued as a touring member until his death in 1985. Jones left the band less than a month prior to his death in 1969, having already been replaced by Mick Taylor, who remained until 1974. After Taylor left the band, Ronnie Wood took his place in 1975 and has been on guitar in tandem with Richards ever since. Following Wyman's departure in 1993, Darryl Jones joined as their touring bassist. Other touring keyboardists for the band have been Nicky Hopkins (1967–82), Billy Preston (through the mid-1970s) and Chuck Leavell (1982-present). The band was first led by Jones, but after teaming as the band's songwriters, Jagger and Richards assumed leadership while Jones dealt with legal and personal troubles. The Rolling Stones ¡Olé, Olé, Olé! A Trip Across Latin America - Out May 26 Olé Olé Olé! A Trip Across Latin America - Released May 26 2017 BluRay: http://smarturl.it/STONESOLEBR DVD: http://smarturl.it/STONESOLEDVD Digital Download: http://smarturl.it/STONESOLEDIGITAL ¡Olé, Olé, Olé! 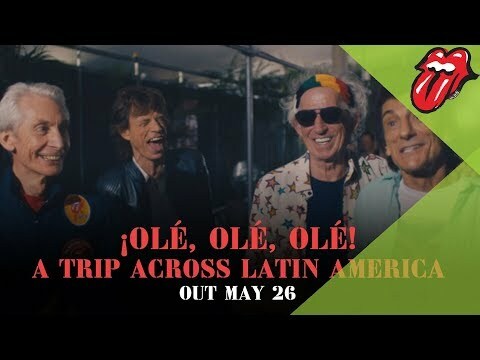 A Trip Across Latin America by the Rol"
The Rolling Stones - She’s A Rainbow - Olé 2016 To celebrate the Rolling Stones’ first concert in Perú, this video was created to pay tribute to the colourful city of Lima. 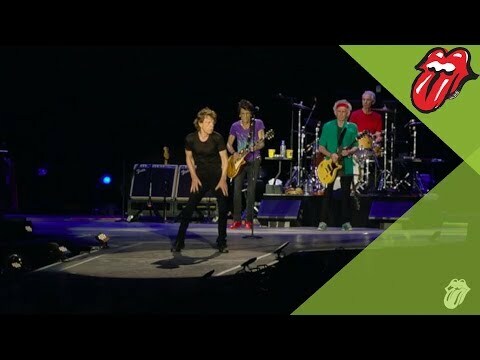 The spectacular show took place on 6th March 2016, at Estadio Monumental, and was part of the América Latina Olé tour, that "
The Rolling Stones Video Rewind - Coming to the official app For the first time, watch Video Rewind, filmed in 1984. Video Rewind will stream to the app in full next Thursday 16th February, at 6pm GMT. 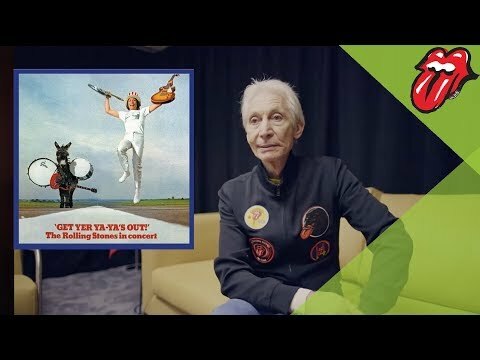 Video Rewind features complete, unedited versions of some of the Stones’ most innovative videos and live perf"
Charlie Watts - Get Yer Ya-Ya's Out artwork Charlie remembers shooting the cover for Get Yer Ya-Ya's Out! with David Bailey and a real life donkey! The cover is recreated in Exhibitionism. http://stonesexhibitionism.com Subscribe for more: http://www.youtube.com/subscription_center?add_user=T"
The Rolling Stones - Happy New Year Happy New Year! Thanks for an amazing 2016, see you in 2017! Subscribe for more: http://www.youtube.com/subscription_center?add_user=TheRollingStones http://www.rollingstones.com/ http://smarturl.it/RollingStonesStores http://www.bravadousa.com/roll"